Kevin Field releases his third album The A List on 31 July 2015 via Warner Music NZ. Recorded at Brooklyn Recording, New York, The A List is a collection of sophisticated, polished compositions with a wide range of influences from ’70s and ’80s soul and funk to acoustic jazz, latin and even a hint of disco! And other good music retailers. A big part of Kevin’s musical approach is collaborating with artists from different genres and backgrounds, as evidenced in his 2012 release Field of Vision. Three years in the making, this album features vocalists Bex Nabouta, Kevin Mark Trail, & Marjan Gorgani, Puerto-Rican percussionist Miguel Fuentes, strings arranged by Wayne Senior, along with contributions by DJ’s A-sides & Chris Cox. Produced by Nathan Haines, reviews and reaction has been extremely positive including Field of Vision receiving a nomination at the 2012 New Zealand Music Awards. 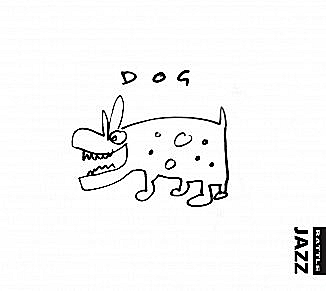 Dog is an Auckland quartet featuring four of New Zealand's most highly regarded jazz musicians and composers. DOG, their superb first album, marks their Rattle debut. The music is fresh and vibrant, composed and performed by four outstanding, highly disciplined artists who live and breathe jazz – and it shows. Featuring Roger Manins (sax), Kevin Field (piano), Ron Samsom (drums) and Olivier Holland (bass), these guys are barkingly good! Bone appetite! Ruff ruff! The FSH Trio is a collaborative project initiated by Ron Samsom in conjunction with Rattle. Kevin, Ron and Olivier have been the rhythm section of choice for many artists over the last decade, including internationally renowned Nathan Haines. Nathan makes a guest appearance on two tracks. Irony features compositions from all members of the trio, reflecting their diverse cultural backgrounds and wide ranging influences. Olivier sailed to New Zealand from Germany in 2002, in a boat he built himself! Ron arrived from Canada in 2003, while Kevin is a native New Zealander. Having played together for five years, the trio have developed a unique musical identity, rich with intimacy, energy, lucidity and risk, all captured in this exceptional debut recording. The subtle use of melody and dense layers of harmonic and rhythmic complexity balance the buoyancy and fluidity of the music. There is keen interplay between the musicians, and an engaging sense of fun is evident as the conversational elements expand through improvisation. There is enormous generosity between the players, and their dexterity and flexibility brings a dynamic-range and breadth of contrast that gives the music great distinction. Recording engineer Steve Garden captured the performances with clarity, warmth and intimacy, and the resulting sound is deeply attractive.